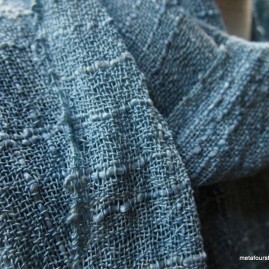 Winter Lace is a lightweight, simple design with a beautiful drape to it. 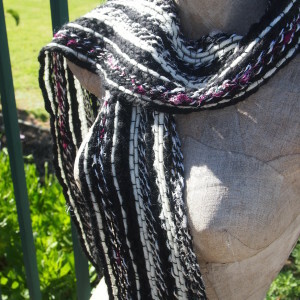 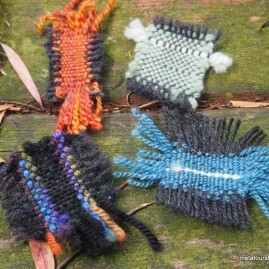 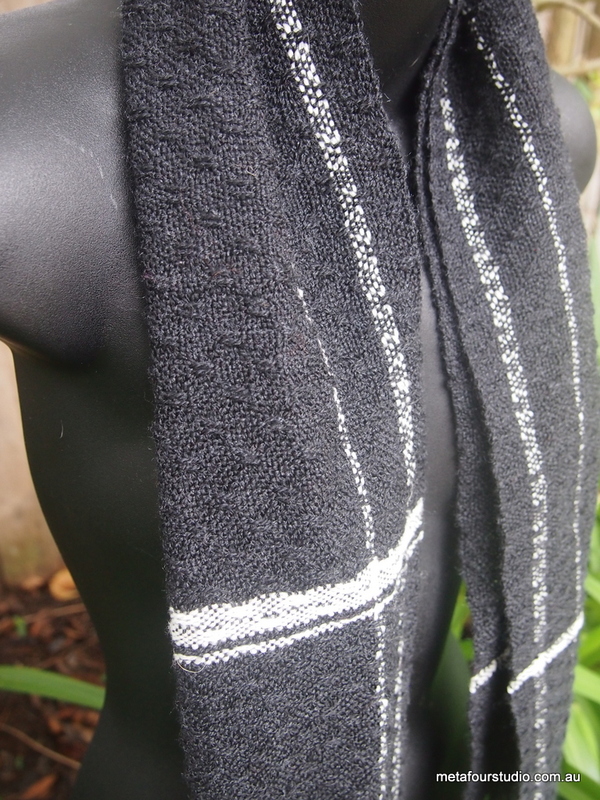 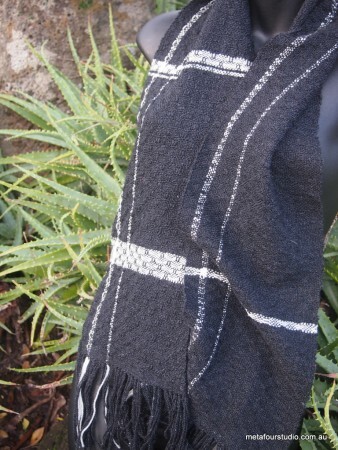 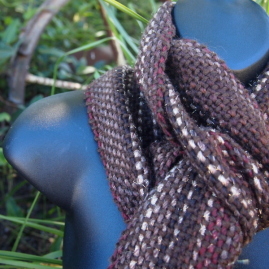 Handwoven from an Australian merino/silk blend, it is wonderfully soft and cuddly. The spot lace pattern adds subtle texture to the simple black and white pattern. 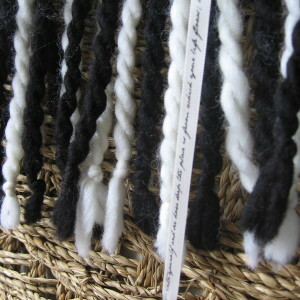 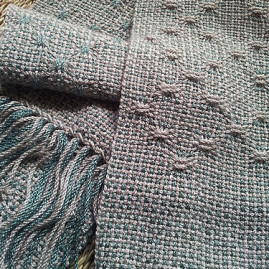 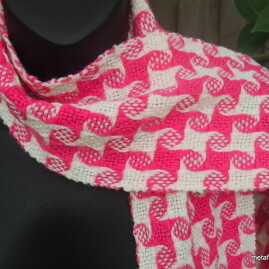 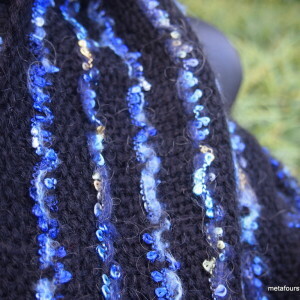 Spot lace shows differently on the “front” and “back” of the scarf – one side has horizontal floats, and one side has vertical. 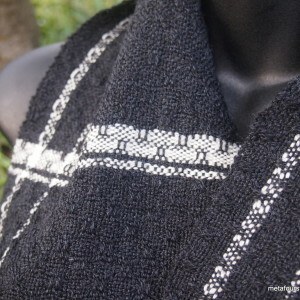 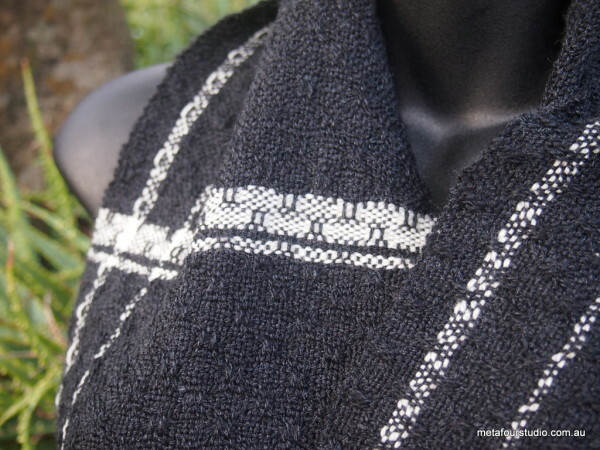 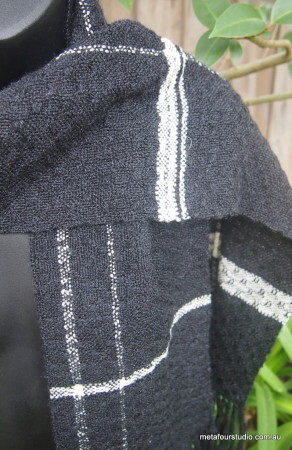 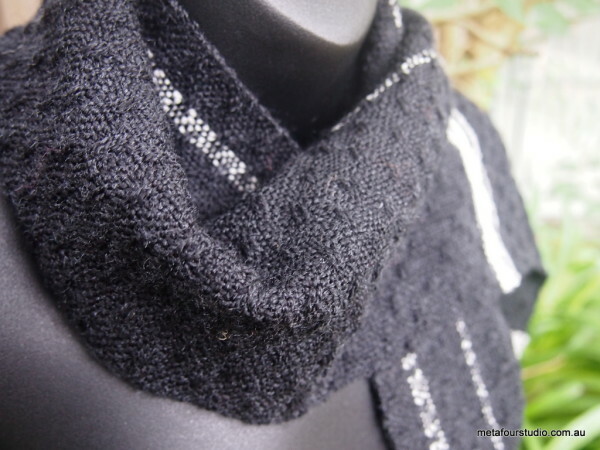 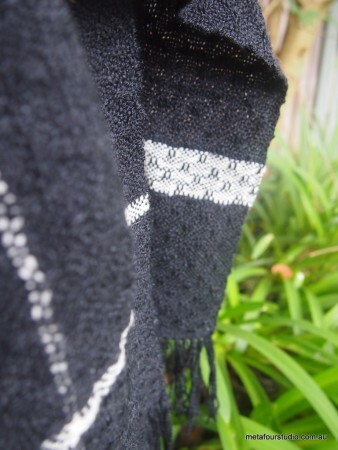 Detail: Handwoven scarf in black and white spot lace. 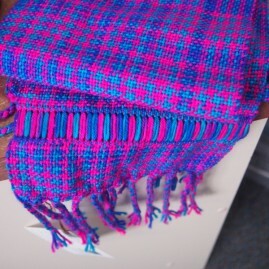 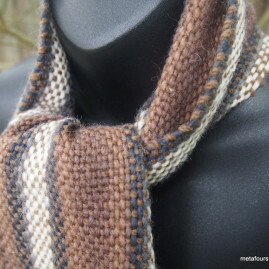 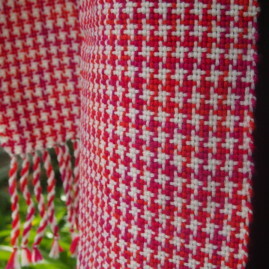 Availability: This style can be handwoven to order in a number of colour combinations.